When you make an order, we will ship to you as soon as possible! Our products will be tested before shipping, and we ship the items through the online shipping method recommended by AliExpress, your rights and interests will be ensured. When you receive the products, if you are not satisfied with our products, please kindly contact us before you leave negative feedback or open the dispute, we will try our best to solve your problem, also we can extend the protection time. 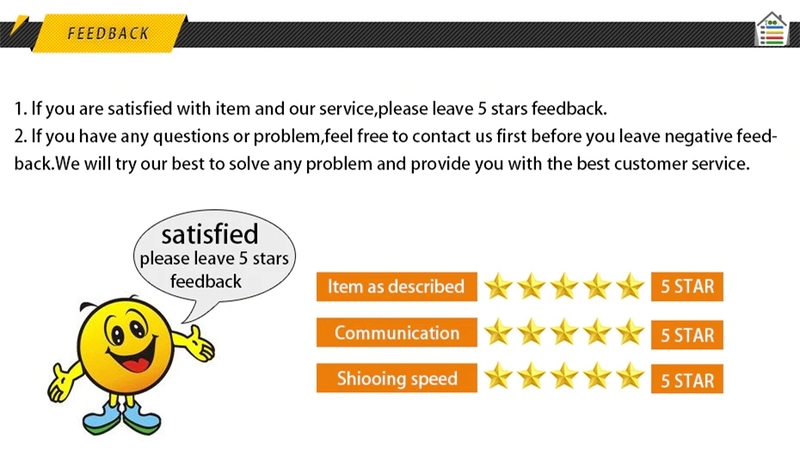 If you are satisfied with our products and services, please leave your positive feedback and 5 stars. Thank you! 10pc T5 led car Interior Dashboard Gauge Instrument light instrument automobile door Wedge Gauge reading lamp bulb 12V cob smd T5 LED Features: – 100% Brand new and high quality. – Quantity: 10PCS. 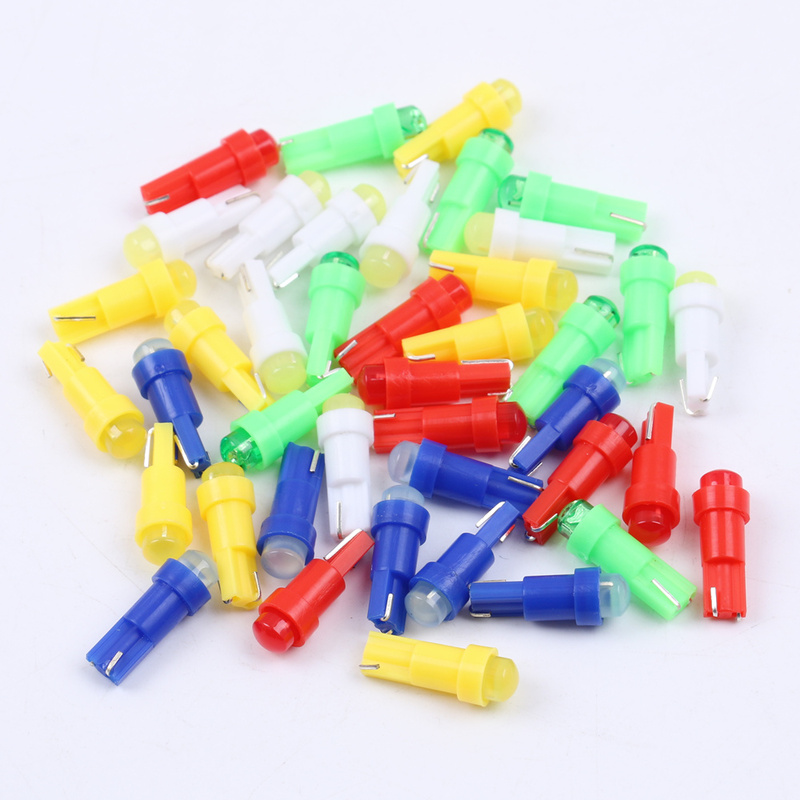 – The diameter of the T5 is approx 5mm and overall length is 23mm. 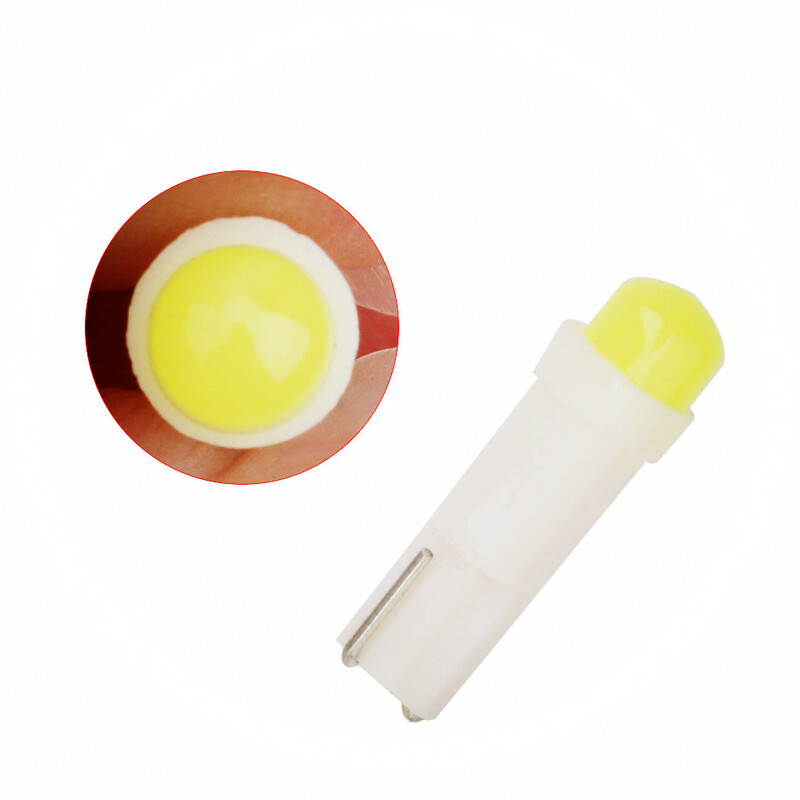 – Each T10 LED bulb contains 6 Beautiful High Quality LED SMD LEDs (available in Xenon White), which are much brighter and colorful than the stock OEM yellowish tungsten lamps. 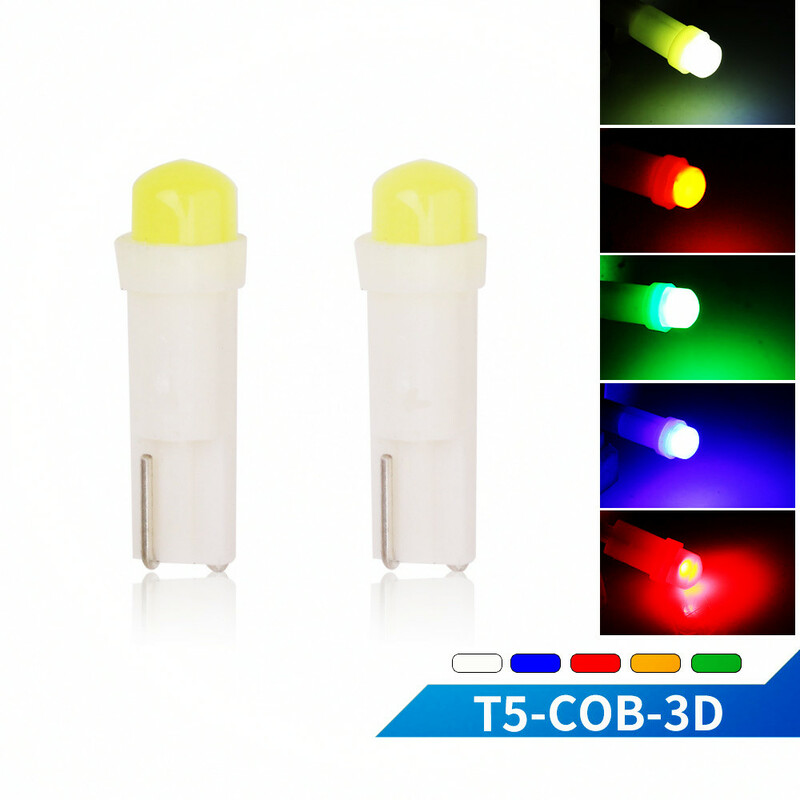 – Besides of the beautiful and cooler color, these LED lamps also have longer lasting than stock tungsten lamps. Usually, a LED lamp has average of 50000 + hours lifespan and it consumes less power as well. 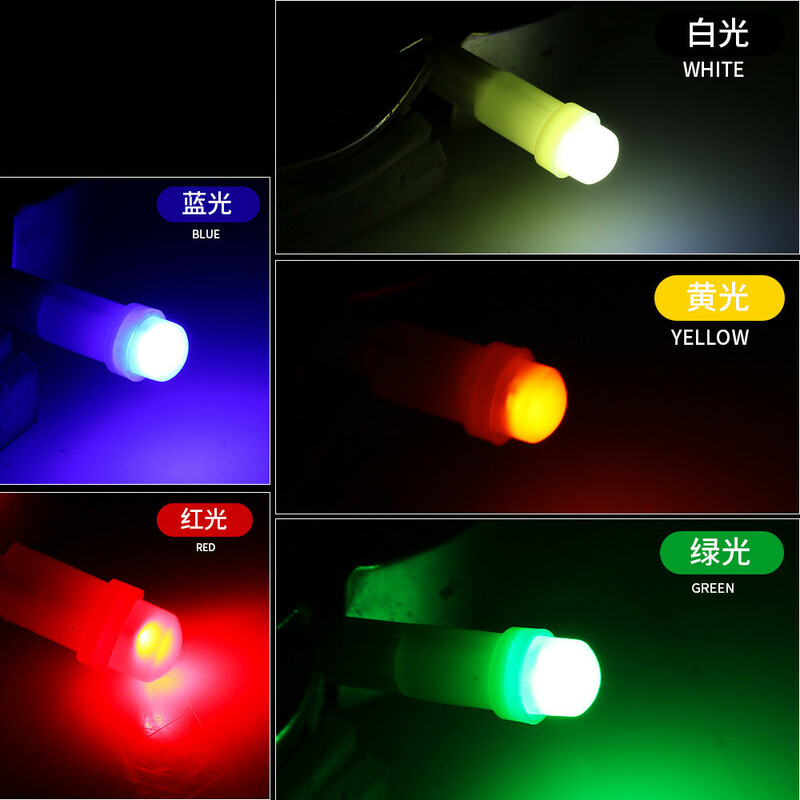 Also, unlike those blue color tungsten lamps, LED will never burn your wires nor melt the lamp covers. – Add style and brighten your vehicle. – Super bright LEDs are much brighter than original incandescent bulbs. 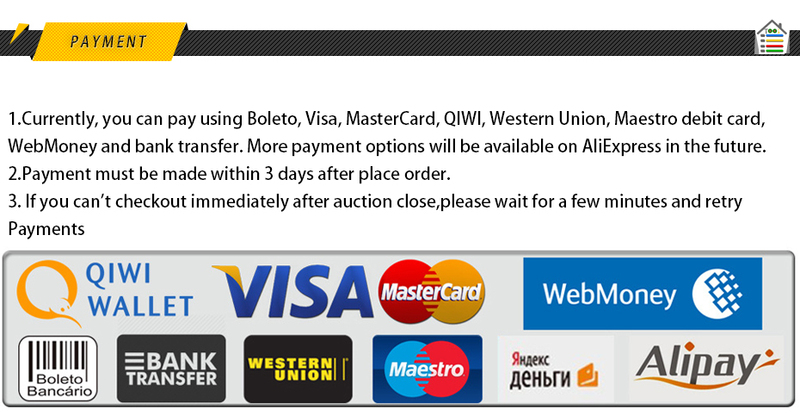 -Installs easily in just minutes – no tools needed. 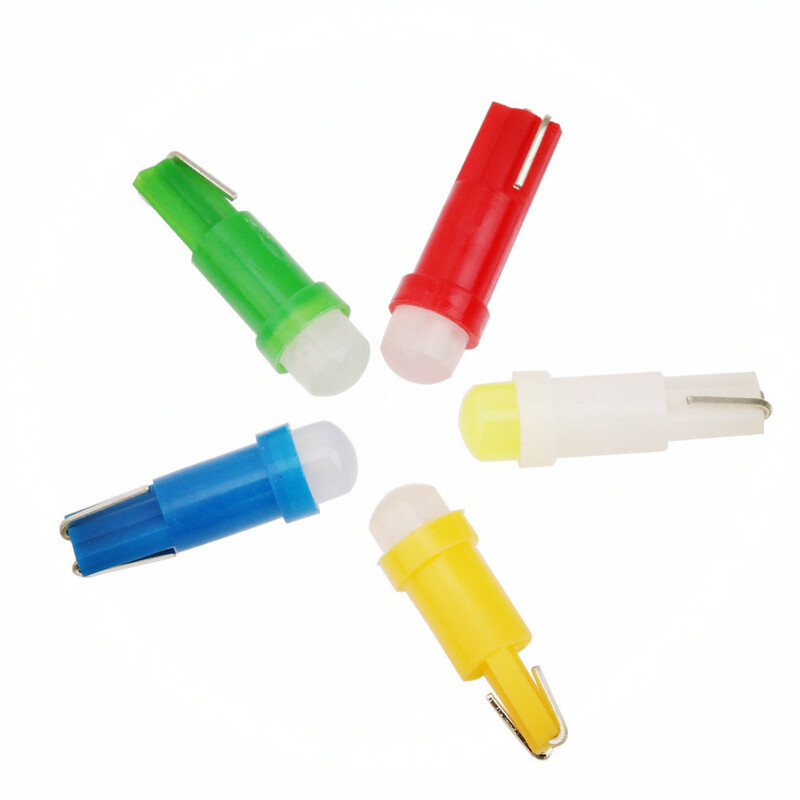 – These bulbs can be used on many light applications for your vehicle. – Low temperature, low power consumption & lasts up to 50k hours. -Light Color:White. 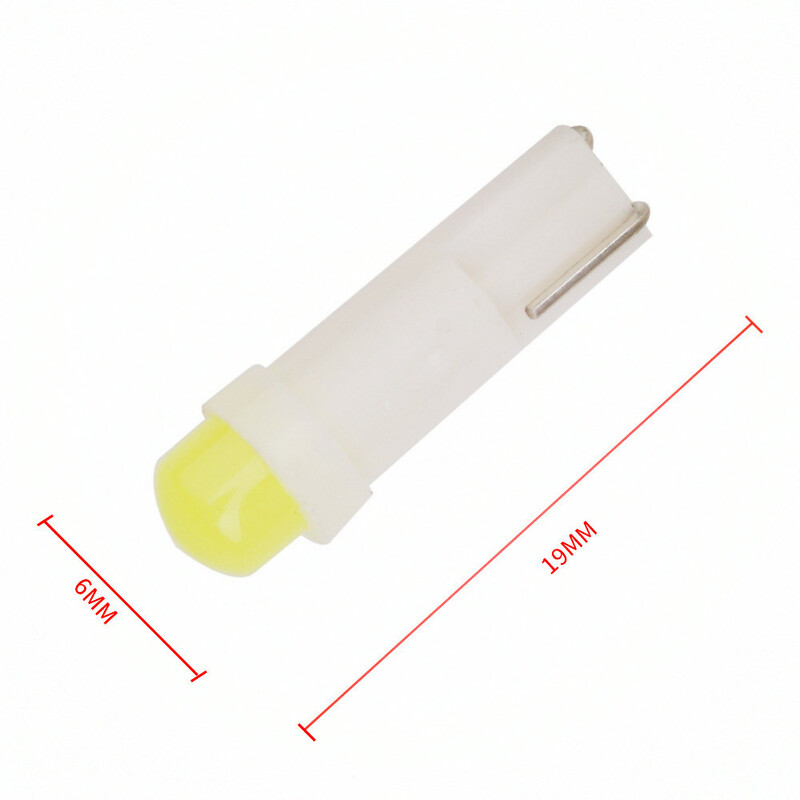 – Common replacement Bulbs for Cars, Boats and Bikes, measures 10mm wedge base configuration which is plug-and-play. 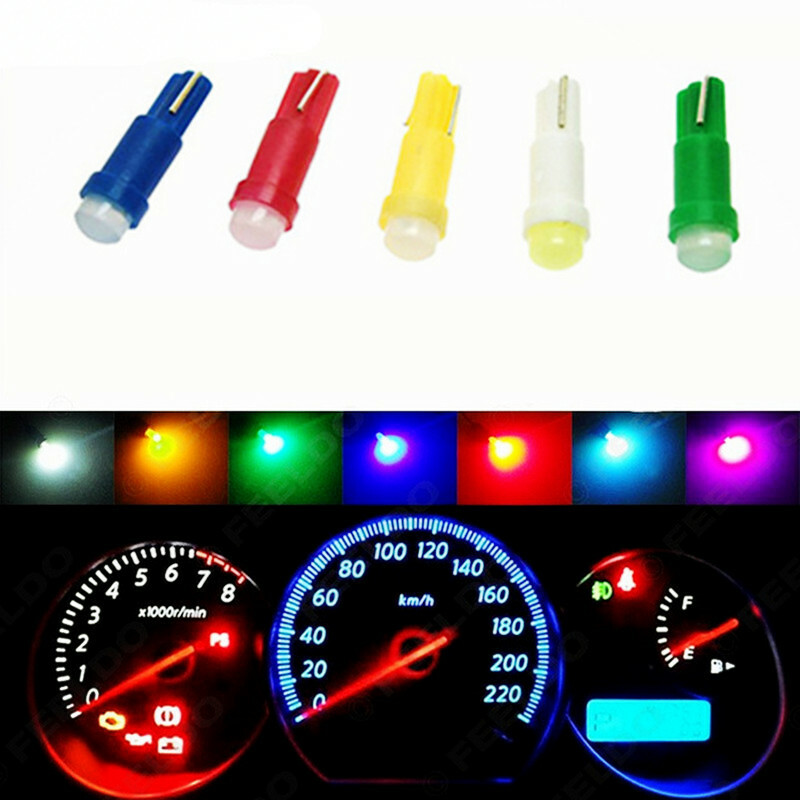 Suitable for many City Lights, Boot/Trunk Lights, Number Plate and License Plate Lights, Side Indicator Lights, Gauge and Dashboard lights and Many More. – Bulb Cross-Reference: T5 17 18 27 37 58 70 73 74 79 85 86 206 207 286 306 307 308 406 407 2721. Note: – These are SUPER EASY to install. There is no modification needed at all. All you need to do is to remove the lamp covers with a small flat screwdriver and direct replace the stock lamps with LED lamps. Since LED lamp has + and – terminals, so if there is no lighting after inserting it into socket, just simply change the terminal oppositely. – Since the LED bulbs have lower wattage, therefore, when installing on some vehicles, you may need to tap on Load Resistors to get rid of the error code on dashboard and/or flickering issue. 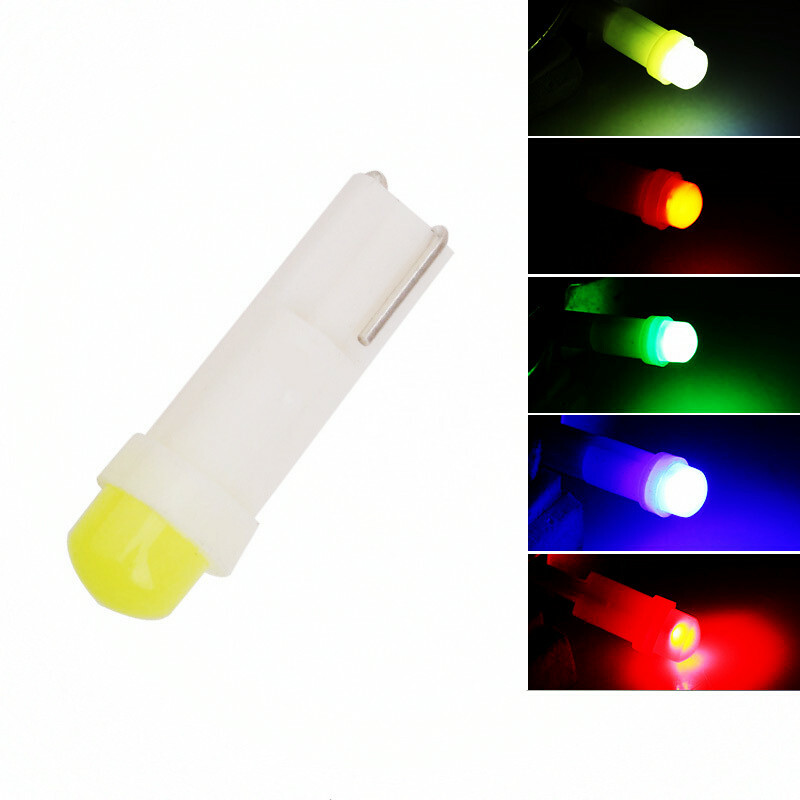 Package Include: 10 X LED Light bulbs.